New technologies have profound implications for our political and social structures. New technologies have profound implications for our political and social structures. The cyber revolution in particular is transforming the world we live in, and affects not just our personal lives, but also the dealings of states. Innovations in the use of information technology, for example, have drastically reduced the distance between the state and citizen and have enabled new modes of political organisation. Digital media have created multiple channels of interaction within and between nations. Some of these changes contribute to the cohesion of states and the stability of the ‘states’ system; others disturb familiar political and social orders. 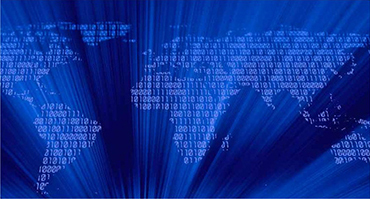 There is a pressing need for greater understanding of how cyberspace effects the affairs of states and their peoples. We have yet to decipher the meaning of this transforming technology for the political, social and economic world. What are the political and societal implications of the cyber revolution, and how should we respond? Launched in 2014, the Cyber Studies Programme’s research covers a number of topics arising from the cyber revolution, including the threats posed by cyber-attacks, the development of online voting, and the privacy and security implications of digital identification systems. In partnership with one of the world’s most advanced digital societies, Estonia, the research also focuses on the country’s pioneering initiatives, such as “e-residency”, an initiative which challenges traditional notions of residency, citizenship and territoriality.